TSA & CB: The previous owners open Contents in 1979. Carol and Tamara purchased the business in 2002. TSA & CB: Carol earned her degree in Visual Merchandising, and with her passion for antiques she started an antique store which was her first experience with selling furniture. Her passion for furniture grew from there. 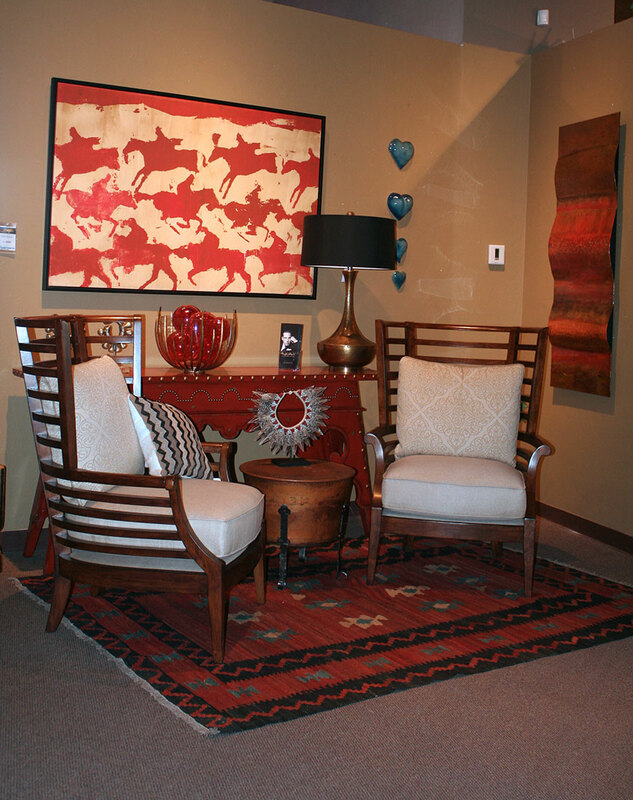 Tamara came from an art education background with specialty in fabrics, textiles and color. It was a natural transition into designing interiors. In her 28 years of selling home furnishing she became a Nationally Certified interior designer and obtained her contractors license. TSA & CB: Carol loves the opportunity to express her creativity though advertising, buying, and helping customers design beautiful homes. Tamara enjoys the travel opportunities and relationships surrounding buying for the show room and running an independent showroom. Where did the name Contents Interiors come from? TSA & CB: Contents, Inc has done business under several names. 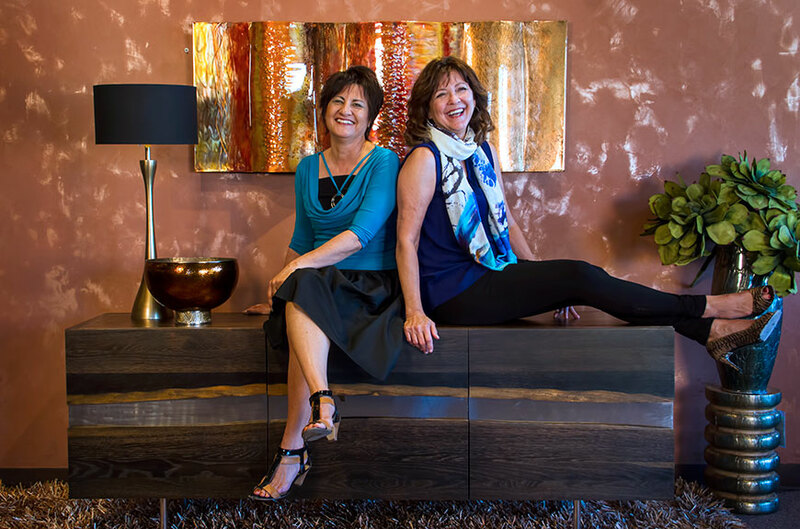 When Carol and Tamara purchased the corporation, they added ‘Interiors’ because they were changing the image from a furniture store to a full service design firm. Their goal was to provide products and service to customers for designing their complete interiors. Before buying the business Tamara and Carol worked together for a few years for the previous owners of Contents. However, their joint venture and risk of buying a business together was taking a leap of faith that they could form a partnership that would endure. Thirteen years later they have not only found a working relationship that got them through the past recession, they have become best friends and share many wonderful memories in building their business…and laughter is an important part of it! Do you have a design tip you like to give people? TSA & CB: Artwork does not need to match your sofa. Colors can be compatible in your overall color scheme, but art that has personal meaning or a theme speaks to you and gives character to your room. TSA & CB: We are very pleased and excited to have the exclusive on showing the Humphrey Bogart Collection. 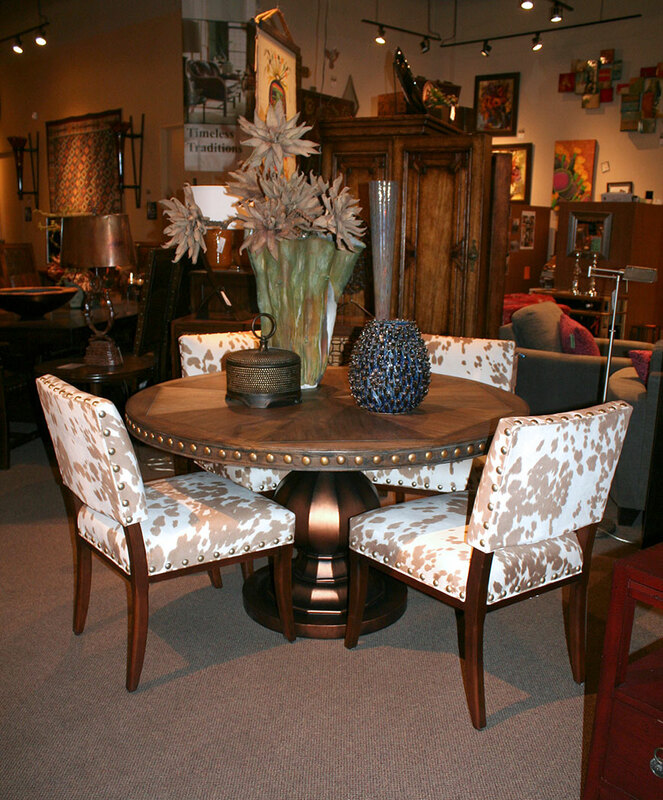 The eclectic collection personifies Bogart’s zest for life and the romanticism and sophistication of his era. TSA & CB: “Imagination is more important than knowledge.” – Albert Einstein. Carol: Anywhere, any time, when do we leave? TSA & CB: From the start both Carol and Tamara knew there was a lot about the business of owning a furniture showroom they were going to need to learn. What they didn’t anticipate is the non-furniture related issues, such as establishing guidelines for a dress code or drug policy. Tamara recently spent time researching non-harmful dog deterrent products and City & County ordinances to address the ongoing abuses with neighbors failure to clean up after their dogs when walking them in the showroom parking area. TSA & CB: We do a great business with American Leather. We like to say the American Leather Comfort Sleeper pays our bills. 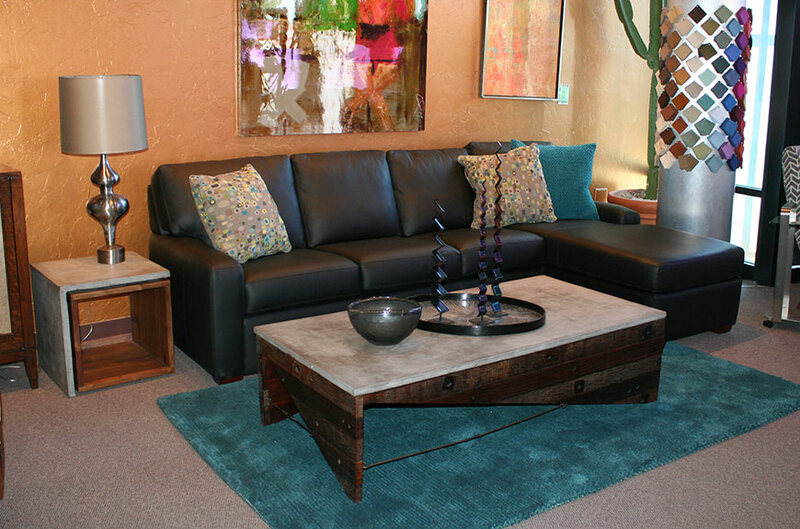 In addition we love selling the very comfortable and stylish Lee Industries upholstery it’s top quality, Made in America, ecologically correct manufactured story. TSA & CB: Good design in all areas: art, architecture, furnishing and fashion! Currently we have a staff of 5 very talented interiors designers, two that have been with us from the beginning. In addition, we also have our graphic artist, who came with the purchase of the business and is indispensable. Our warehouse manager has been with us over 10 years and in addition to his great customer service expertise, he is a creative problem solver with the ability to make things work. We are fortunate to have a great group of employees that enjoy their work! TSA & CB: Our staff of designers are trained in a process we call Masterplan. 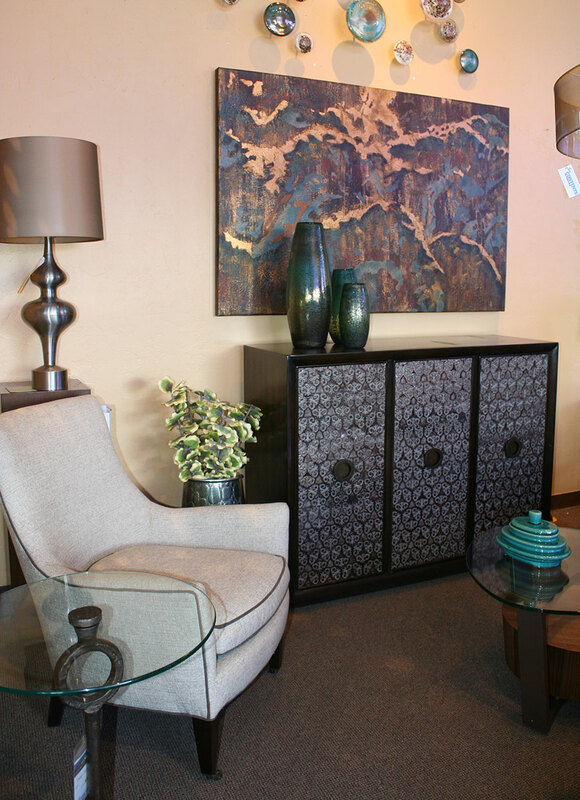 Through an extensive customer interview, the designers will create a total plan for a room or entire home. It includes a trip to the customer’s home and then a formal presentation with scaled and colorized floor plans that are created to fit the customer’s lifestyle and budget. Our customers tell us our 8,000 sq. ft. showroom is unique and inspirational, where you can sit, feel, touch and see the quality of the merchandise before you buy. In addition, our customer focused design staff will help customers find exactly what they are looking for and make it a pleasurable experience. TSA & CB: We had the opportunity to help with a new construction project, specifying finishes, fixtures as well as furnishings. 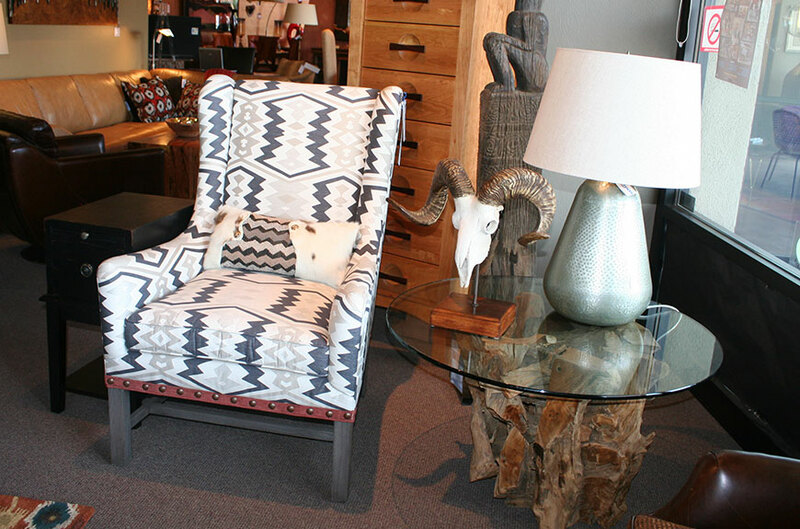 Having just visited the Amangani Resort in Jackson Wyoming, this wonderful couple were inspired to create a similar feel in their Tucson home. While living in Jackson, they collected artwork that we were able to utilize. 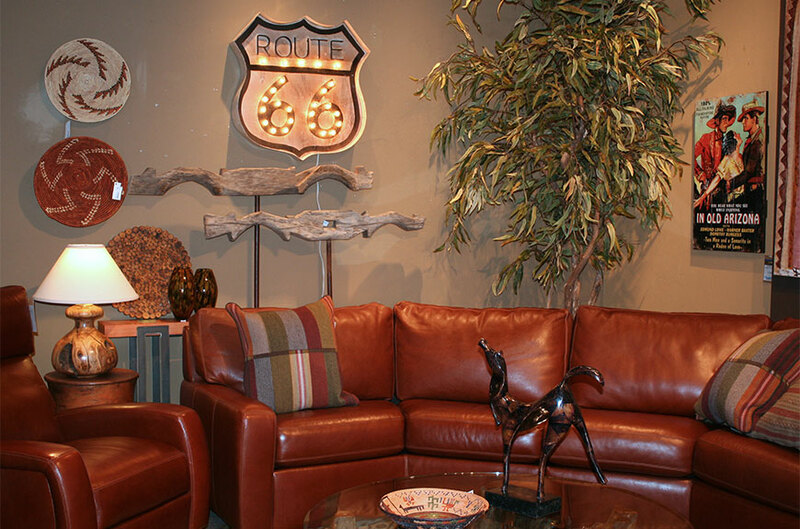 The wife requested our desert southwest’s “Angry Sunset” colors for the palette of the home. They were a pleasure to work with and have recently asked us to help with their new home in Florida. Are there any restaurants or shops in the area that you like to visit? Maybe a favorite neighborhood lunch spot? 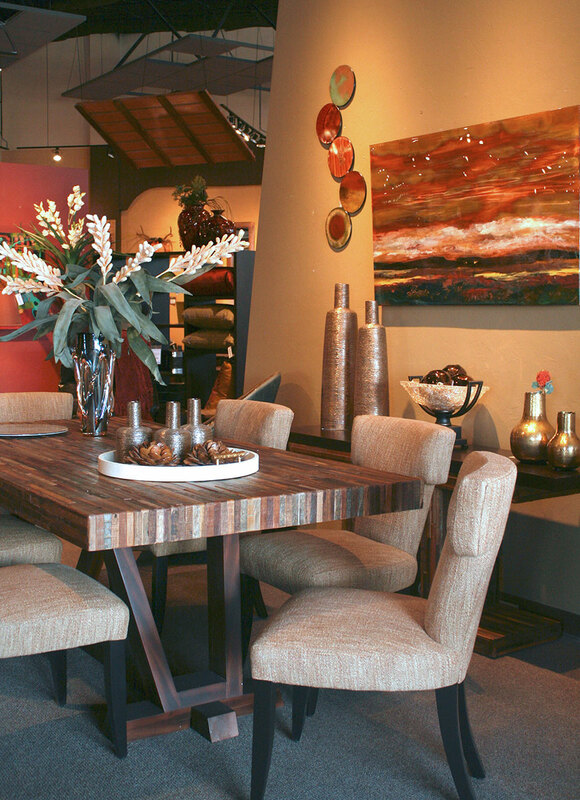 TSA & CB: One of Tamara’s favorites is Pastiche Modern Eatery, not far from the showroom. 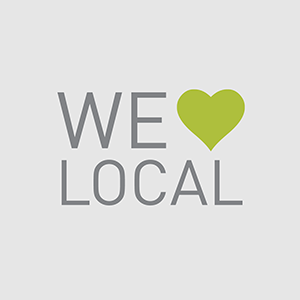 They are a part of the “Tucson Originals,” an alliance of independently locally owned restaurants and purveyors working to raise awareness of the rich and vibrant culinary community in Tucson. In addition to great food they showcase local artists in their dining room. Tamara and Carol also love the happy hour at Tavolino Ristorante, another local, independently owned establishment. TSA & CB: That is a hard question, except for going to furniture market, neither Carol nor Tamara is that fond of shopping, though Carol was very impressed on a visit to Bungalow’s in Scottsdale AZ. 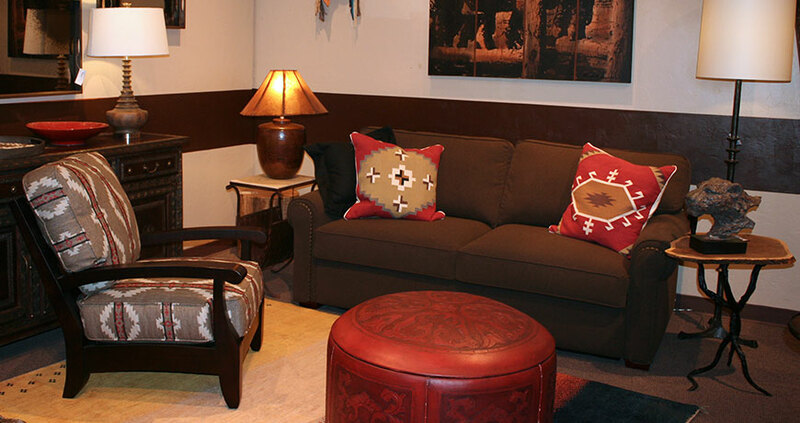 TSA & CB: February 27 through March 1, the American Society of Interior Designer Arizona South Chapter is sponsoring Desert Dwelling Design Week. 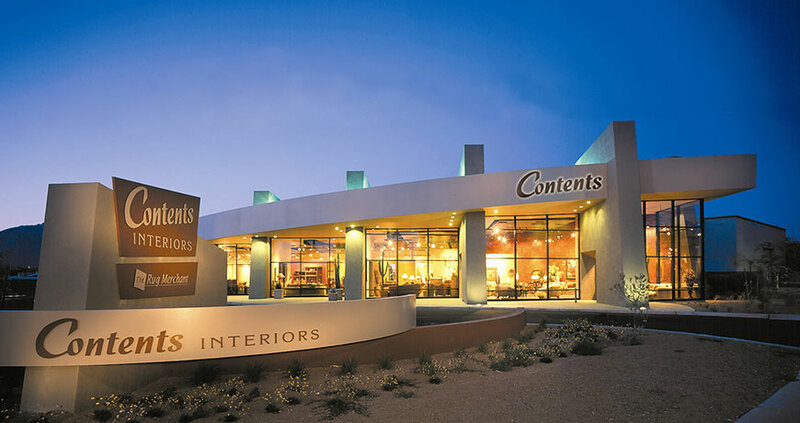 A three day design event is open to the public and is meant to increase public awareness of local ASID designers, their resources, and the value of interior design in desert living, both indoors and out. 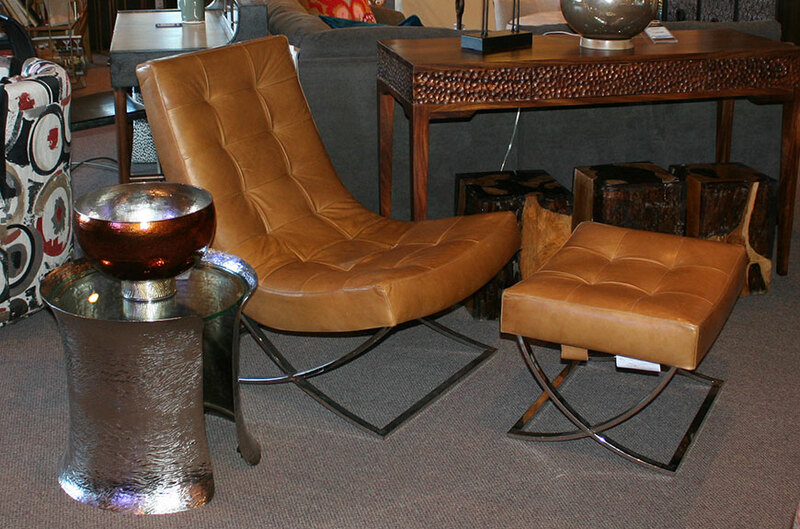 TSA & CB: We tell people Freeway owns the joint, because he has the run of the showroom and pick of all of our comfortable and stylish furniture to sit on. 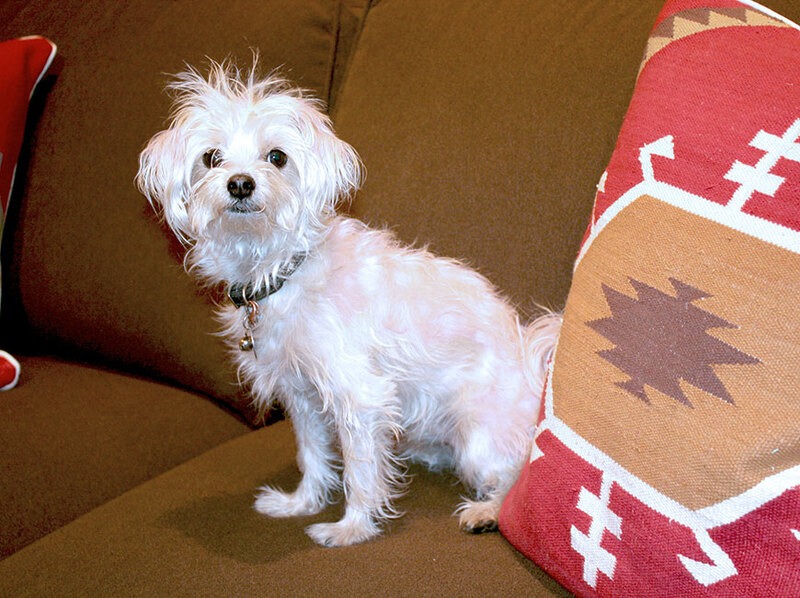 One of the staff designers, who actively does animal rescue, found Freeway on the Interstate 10 frontage road on her way to work one day. He took a liking to Tamara who takes him home at night, but is here during the weekdays to act as store greeter and parking lot security. He is a regular on Contents Interiors’ Facebook page. 2. SALTY OR SWEET? C: A combination of the two, T: Both, alternating! 3. BEACH OR MOUNTAINS? Beach!! 6. CATS OR DOGS? C: Dogs, though she has a great cat, Cinder!, T: Both – Freeway & Bighead!